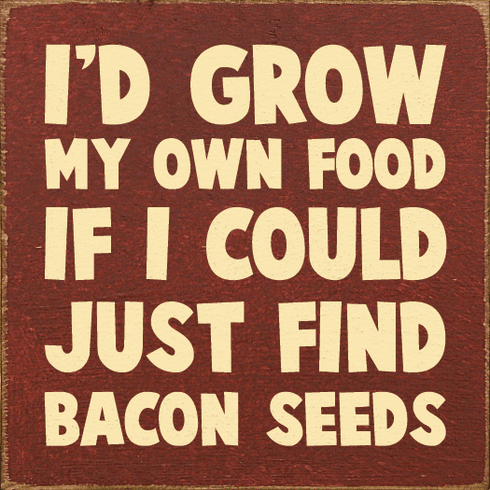 Food & Drink Sign...I'd Grow My Own Food If I Could Just Find Bacon Seeds. Made from solid knotty pine. Flat edges for shelf-sitting. Routed slot in back for hanging.